Yes, we’ve been here before. I suppose it’s time to discuss Howard Terminal yet again. In June I attended a weekday afternoon Rangers-A’s game, followed by a ferry trip from Oakland to South San Francisco. San Francisco Bay Ferry was using that week to launch the new service, which to that point had its southernmost terminal at AT&T Park. I noticed many people who, when they learned of the free promotional ferry ride, decided to take a quick cruise across the bay. While I was waiting for the ferry, I walked around JLS and near Howard Terminal to take some updated pictures just in case. The best place for a ballpark may be the southeast corner, where the two cranes are located. The cranes can be and often are relocated. The area designated for auto processing is about 9 acres and is surrounded by the rest of Howard Terminal, a power plant, the Inner Harbor, and OFD property. The Trib’s Matthew Artz reported yesterday that tenant/operator SSA Marine (Matson) is suing to get out of the 25-year lease it signed only 7 years ago. 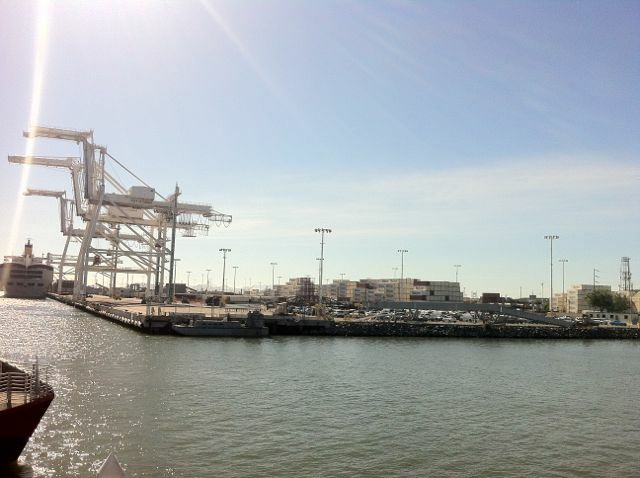 Howard Terminal was chosen as a site for consolidated operations by SSA Marine. A planned multi-story auto processing/storage facility had to be scrapped amid NIMBY concerns and Howard Terminal only runs at 55% capacity thanks to market changes. Those may be the biggest factors in SSA Marine’s decision to file suit. The issue there is that while SSA Marine may ultimately want concessions on the lease, they may not necessarily want to leave or downsize their presence there. If the site I described as ideal were to be reused for a ballpark, SSA could only stage one large vessel at a time as opposed to two now. If SSA were to agree to relocate to elsewhere on Port property, it’s likely they’ll require a huge cut in lease terms while trying to maintain the kind of consolidation they were able to enjoy when they first inked the current deal. They’d also want to be able to expand if their container shipping business improves. If the City and the Port wanted to use all 50 acres of Howard Terminal, the solution is simple: tear up the lease and start the process on alternative development (planning, EIRs, infrastructure, identified projects). From looking at the Port’s budget documents, SSA Marine provides a substantial portion of the $10 million in revenue the Port derives from Inner Harbor maritime activities. That figure isn’t broken out by location or by company, so it’s hard to speculate further on SSA’s impact. Regardless, any disruption or change to SSA’s operations has to be considered an opportunity cost, since the Port would be foregoing that revenue stream to take on a ballpark lease and other commercial lease revenue. Currently, Inner Harbor provides nearly as much revenue as the entirety of Commercial revenue at the Port. Train passing the power plant along The Embarcadero. Part of Howard Terminal is behind the plant. Intersection is Martin Luther King, Jr. Way and The Embarcadero. In the picture above, you’ll notice that along this stretch of The Embarcardero, only one side of the tracks is paved street. The near side is gravel. This continues to Jefferson and Clay Streets, where the Jack London Square streetscape as we know it begins. If a ballpark were to be placed at Howard Terminal, a great deal of new street and pedestrian infrastructure would have to be planned and constructed in order to safely accommodate the anticipated large crowds. That includes at least one pedestrian bridge leading from MLK, Brush, or Market. Additional acreage at Howard Terminal could be repurposed for parking, though that’s a double-edged sword. If a large amount of parking is built there, streets will have to be beefed up to accommodate traffic increases. There’s no obvious place north of Howard Terminal where parking could be built without the demolition of existing structures. East of Howard Terminal is a stark contrast. Jack London Square dominates and has a great variety of mixed uses. The waterfront building at 10 Clay Street is largely unused and could make a great A’s museum, as slo_town identified in June. Some negotiation would also have to be done with Oakland Fire Department because Station 2, where the Fire Boat is located, sits between HT and JLS. Finally, there is the issue of the impact of the ballpark itself. Besides increased traffic and the distance from BART (3/4 mile to the 12th Street/Oakland City Center Station), the visual impact of a ballpark will be up for much debate. If the field is oriented to face downtown (away from the water), there’s a risk of a having a 500-foot-long, 10-12 story tall edifice bumping up against the water. If the field faces the water, the visual impact is much less since the ballpark will be “camouflaged” by the power plant, but the impact of lights on Alameda becomes greater. Either way it’s no slam dunk. Still, when you look at the picture above, it’s easy to see why someone would advocate for Howard Terminal, challenges and all. This entry was posted in Athletics, News, Oakland. Bookmark the permalink. park if it were ever to be built there i would hope it’d be looking towards the water southwest. location probably would be right where the two cranes are at this time and the view towards cf and beyond rf would be that of the estuary. def would have the effect of having hr balls going out towards rf hitting the water. out of all the “waterfront parks” at&t actually has seen the most balls reach the water, followed by pnc which takes a huge blast, and i don’t think i’ve ever seen a ball reach the water in cin’s park. view wouldn’t have the iconic backdrop of what pnc and at&t has but how about great american for cin? that park is facing opposite of cin’s downtown panaramic view and it has a water beyond rf and looks almost similar to that of what a howard terminal park would have. @letsgoas – You can’t face a ballpark west or any variant of west unless there’s a dome on it. @baycommuter – Not that the haters will give me any credit. I do more legwork than they do! @letsgoas – Either southeast or northeast. If they use all of Howard Terminal there’s more than enough land to orient it north, south, or east. It’s too bad Oakland doesn’t have a waterfront site like San Jose. It’s too bad Oakland doesn’t have a waterfront site city government and corporate support like San Jose. okay then the howard terminal park would look towards the south then? wouldn’t have the views that a park slightly orientated towards the southwest would have but what would you rather have? a partial view of the estuary and view of alameda or a full view of downtown oakland and the hills which a straight east orientation would have. this was an issue i think i’ve read a few times about at&t. the initial orientation was north rather than northeast so that the park instead of the vast water view of the bay that it has now would be lookign more towards the sf downtown skyline beyond cf and the bay bridge beyond rf. but there was a wind study that made the park change from what it was projected to be to what it is now and i’d guess everybody would rather have the view they have now rather than what it could’ve been. letsgoas, here’s the orientation Populous (HOK) envisioned 11 years ago. Kind of East/Southeast. I will say one thing about that this site, it is pretty. I fear the issues with it make it as unfeasible as the last two sites Oakland has suggested. But if they were able to come up with the public funding that would be needed to make it happen it would be a gem. Where the first 2-3 innings right handed batters faced directly into the setting sun. Not unusual to see batters wearing sunglasses until dark. It’s since been retired. Nice writeup on Howard, as usual. Howard Terminal would, under most circumstances, be a GREAT location for a ballpark. Unfortunately its fatal flaw is its distance from BART. I was at Sunday’s game and while it was a decent crowd, it sure seemed like 50% were heading back over to BART afterward. I’m sure there have been many studies providing data of the amount of people take BART to A’s games and from where they’re coming. Perhaps this has factored into Mr. Wolff’s lack of desire for this location? Ya think? Public transportation in the form of Amtrak and ferry service is nice but it wouldn’t serve the majority of fans who would use public transportation. Unless they decide to move BART closer (not gonna happen) I can’t imagine how anyone can realistically support this location. And it would be fitting for Bud to give this the A-OK without seeing this flaw. I would love for the A’s to stay put, but until Oakland/Alameda County and someone with some realllllly deep pockets and wherewithal to deal with red tape can come up with a better location in the area than the Coliseum complex it’s hard to beat the potential of SJ (with access to CalTrain, VTA, and eventually BART and even HSR). Coliseum City may be totally pie-in-the-sky, but you have to admit it’s the best local location idea since uptown/Fox theater. Seems like a nice site, if you were able to face the water. I don’t know why Oakland just doesn’t give up on the whole process of trying to keep the A’s. They have the mentality of a child. They point at something they want without thinking about what it takes to get it. Wolfe doesn’t even want to be there. I don’t understand why they keep trying to skirt around that very important fact. The guy owns the freaking team! “You don’t want to be here, but spend $500 million on us anyways.” No wonder Oakland is most likely going to lose all of its teams, the civic leadership is a joke. I can’t get over the fact that if this site was even remotely feasible, we would have heard about it in this vein within the last 10 years. Instead we heard all about how Victory Court was the panacea. And then how amazing Coliseum City is going to be. Nothing on Howard Terminal. No bed sheet please, no 50 million facebook fans, nada. 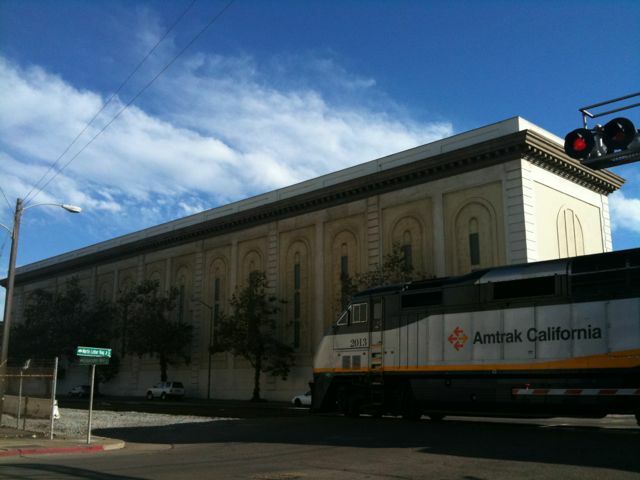 In the meantime, Diridon sits and waits, naming rights sponsor, at least 75 corporate commitments and all. You would hate to believe that MLB could look past all this. I think a huge PR point is gonna be that $40 million estimate. With things like public safety and education on the forefront of many Oaklanders, will those who don’t give a damn about baseball stay quiet? Al Davis tried to move back once before, was met with huge protestations, but came back to Oakland on a second try. It wasn’t all wine and roses for the beloved Raiders, how will the A’s fare when they look to the city for a sliver of funding? @ML: thanks for the recap of HT; I was looking through past posts just to get a refresher, but you saved us all the trouble. @candlestone: while not as convenient as other sites, 3/4 of a mile shouldn’t be a deal-breaker. In fact, those coming via BART would walk through JLS, Chinatown, Old Oakland, etc. and be able to stop for drinks/food/etc., which is the attraction of a downtown site in the first place. And, just for reference, the closest BART station to AT&T (Montgomery) is 1 mile away and fans seem to manage just fine. Finally, just a comment about my personal take on why HT is now the preferred site (which will be laughed off by SJ-backers, but thats fine): 1) VC was the ideal waterfront site next to JLS, but became obsolete when RDAs were eliminated; 2) Coliseum City is being pushed as a hub for activity for the City of Oakland (sports, concerts, conferences, etc.) and will continue to be, right or wrong, whatever happens to the A’s; 3) the new ownership group that Knauss & Co. have teamed up with, along with MLB, do not want a site at the Coliseum and have now made that clear to Oakland officials; 4) HT is back in play because of its ideal waterfront location, and circumstances (Port in need of money, tenant status, etc.) that changed when HOK ranked it as the #4 preferred site in 2001. Finally, to those of you who continue to argue something along the lines of “why doesn’t anyone realize that San Jose is a better prepared and more predictable site for a new MLB stadium?”… we get it, and your’e right! The problem is, as I’ve stated in the past, as of August 7 2012, territorial rights are still keeping the Oakland A’s from becoming the San Jose A’s. As hard as it is for some of you to swallow that, its one of the few facts we know. As a result, some of us are looking at what options are on the table. And, from my take on things, I don’t see anyone using territorial rights to keep the A’s from playing in Oakland. So lets look at the options. I’ll stop there, other than to say thanks again ML for the HT recap. @all – 3/4 mile is not that big a deal for me personally. I’d stop at The Trappist or Beer Revolution regularly if the ballpark was at Howard Terminal. If there is an issue, it’s that distance adds 15-20 minutes each way to a BART trip. That’s not the same thing as parking downtown and then walking 15-20 minutes. Depending on where you’re coming from, it could be a dissuading factor. If anything, it may push more people to drive instead of taking BART due to the inconvenience. There probably won’t be a streetcar, but the new Broadway shuttle could be helpful the same way the now-shuttered Sharks shuttle helped fans in San Jose, if they beef up capacity enough to make it work. Before anyone asks, I have to point out again that the BART alignment from Broadway to Brush is on an incline, making it prohibitively expensive (not to mention disruptive) to insert a new BART station. Back in 2005 the station Wolff wanted at Coliseum North would’ve cost $80 million. A 5th/Market station would easily cost double that if not more. @JH510: a lot of fans take Muni from BART so they don’t do the 1 mile walk from Montgomery. 3/4 is a tad far. Not saying it can’t be done but a lot of transit studies assume people won’t walk much more than 1/4-1/2 mile. If its a nice day and by myself, sure, a so-so day with the wife, not really. @JH510: I agree with your reasoning for why HT is the best site in Oakland but one point on #3, there isn’t a new ownership group. There’s a group that says they’re interested in buying but unless Wolff chooses to sell (or is compelled by MLB to sell) then Knauss and company are merely interested parties, nothing more. Still, I agree this site is better than Coliseum city, at least on the outside. If an EIR goes forward we’ll see what it reveals. The California Department of Transportation did a study about linking Jack London Square with BART in 2002. Might be worth looking at again. The CADOT seems to think that BART to Alameda in some forms is a long range option. I wonder if it would be at all feasible to run some kind of game day rail shuttle from the train station that sits one block south of West Oakland BART (by 3rd & Mandela) along the First St/Embarcadero tracks right to Howard Terminal? ML, I know that BART isn’t feasible from Broadway to Brush because of the incline, but wouldn’t opening up a new station on the existing route in-between Lake Merritt and West Oakland stations on Market and 5th work? It would be less than half a mile from the station to the ballpark. Whats the weather like at Howard Terminal? Is it usually foggy? Or maybe typically foggy at certain times? Or not at all? What about wind? : in which direction does the prevailing wind blow? Can anyone provide some insight? Thanks! @ML, when I looked at Googlemaps and put the little person-figure btw Castro and Brush (~726 4th St) facing the BART tracks, they appear to level-out at that point, and almost so where the tracks pass over Castro St. itself. Therefore, is it possible that a BART station could be built centered on the 2 blocks between Brush and Filbert Sts? There is a “dent” (curve) in the track shortly after the Market St. overpass westbound which may make it not work. Anyway, thought to ask, for if the platform can be shorter than the standard 10-car length…which is btw 7-800 ft if I recall. @DavidL – I thought I had asked BART about this several years ago, but I can’t find any email related to it. I remember hearing that there isn’t enough space for a platform and that the incline (which would require study) wouldn’t accommodate a platform. BART has minimum req’s for stations, one of them being online or offline. Online means that the station runs all regular trains, offline means the station runs special event trains. There’s probably a lot a more related to safety and such, so I’m going to assume that eyeballing it won’t be enough. Exactly. It is about public financing — that is the 10,000 lb gorilla in the room. HT is a pipe dream if based on LW/MLB making this thing happen on their own $$$. But IF Oakland kicks in and makes the stadium at HT a palatable cost to LW (probably need MLB $$$ too), I can see this thing having a real chance. But IF Oakland is not going to kick in (or only kick in smallish), this conversation a long time ago was rendered moot. So IF Oakland is serious about HT and IF they are going to make it a viable site for a stadium using their $$$, make the infrastructure happen with their $$$, make the land deal a sweetheart deal for LW, this thing can happen. They give LW the land for an extra sweetheart deal, or something like that, and I’d put the chances at it not happening quite good. Personally, if SJ was not going to happen I like HT-JLS-Waterfront. But what is the cost for Oakland? Again almost no chance LW and MLB pay for anything but the stadium and land. If HT is going to take a number at or close to something with 8 zeroes at the end of it, do the Pols of Oakland even seriously try? Would enough Oakland voters be ok with expenditure of this kind of money for an unliked, 1%er guy? Forgot to add, and where does that leave the Raiders and the W’s? Does Oakland pony up for them too? They all currently want a new stadium and will leave without one (likely. W’s might leave anyways). This is a VERY serious $$$ commitment by Oakland to keep their teams. Is there the $$$, the political will, even the justification to spend the kind of money it will take to keep the teams. And if not, what teams stay and/or what teams go??? Marine Layer, first off, thanks for the shout-out on the museum idea. Another potential idea is to set up a sales center a bit like the 49ers did. One can dream, right? Also, this is fantastic coverage that you provide here. As much as the pro-SJ and Oakland-only back and forth pains me to read in the comments, I always appreciate the great source of information this website provides. As for Howard Terminal, I do have a bit of information that I have not read in any of the articles. First is the acquisition of the actual property. 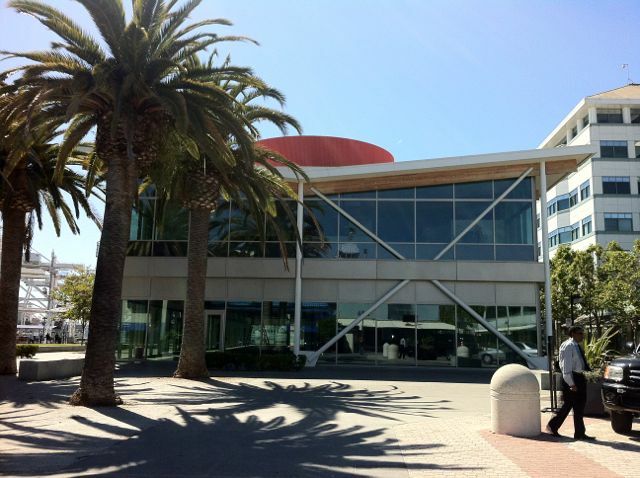 I would imagine that the Port of Oakland would lease the land as a part of a long-term agreement, similar to Jack London Square. I have not heard that an actual land-sale was discussed (although obviously I was not at the meeting), so I’m not sure if that $40 million figure is entirely accurate. Perhaps the biggest point being brought up about the Oakland game plan is why was Victory Court THE site. I have to admit, I was one of those people who were very excited about the site. After much analysis the total cost for land acquisition, infrastructure, and access improvements, the cost was over $240 million … I figure completely unreasonable, especially without redevelopment. 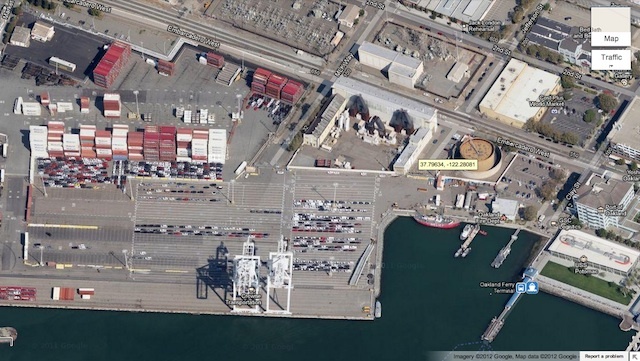 Now, the same analysis was conducted to explore Howard Terminal. And the figure for infrastructure upgrades, etc. for Howard Terminal is pegged at $49 million. I’m not saying I’ve done the independent analysis or anything, but that is the number. $49 million is still a high number, and apparently part of the plan could involve leveraging the Measure B county transportation funds that could come available depending on the vote this November. I was skeptical at first, but after looking into it there are funds that could potentially be used including grade separation funds, quiet zones, etc. Specifically, there is $75 million set aside for traffic improvements to the Broadway-Jefferson-Alameda interchanges/off-ramps. There is $10 million for Broadway/College Avenue transit improvements, $10 million for the Broadway streetcar project, and funding for the Oak Street on/off-ramp. There is also $161 for Port-area traffic improvements including grade separations. If part of Howard Terminal were retained for Port-related activities it would certainly qualify for constructing an over-crossing. Even if all Port-related activities at Howard Terminal were ended, Schnitzer Steel is also accessed by Market Street. I’m not saying that Measure B is the only source of funding, but it is something to consider. As for site access, at least three over-crossings are being considered: Market Street, MLK, and Jefferson Street. Purely speculation, but I would imagine that the road over-crossing would be at Market Street due to the longer approach space on the land-side of the railroad tracks and it already being the main entry to Howard Terminal and Schnitzer Steel. As for orientation, the original HOK image is about what is being studied. The ballpark would be at the southwest corner closest to the ferry terminal with right field to the Estuary and left field towards Jack London Square. Like in the HOK study, the development area would be closest to Schnitzer Steel. Although there could potentially be a phased approach where the area next to the ballpark would be surface parking on the current terminal land. I’d imagine the surface parking would significantly cut down on the site preparation in that only the ballpark would need new piles, etc. All-in-all, I would say there is a lot more going on in Oakland than one would think. I was certainly surprised by all the work that has been presented to the Blue Ribbon committee. And there are some interesting dynamics going on to say the least. And for those wondering about the Oakland Raiders … word is that the NFL will be coming to town on Thursday. And finally, Marine Layer, I’m interested in the off-line BART station concept. What might that look like/entail from both a construction and an operations point-of-view. @slo_town – What exactly does that $49 million include? Is that all infrastructure? I’ll ask BART about the station concept. As for orientation, the original HOK image is about what is being studied. The ballpark would be at the southwest corner closest to the ferry terminal with right field to the Estuary and left field towards Jack London Square. I know this will sound nit-picky, but for clarity: Did you mean southEAST corner? I have never posted here, but one thing that frustrates me the most is the opportunity that has been lost right now. The last 3 years, and going forward for maybe another 2 or 3 has been the most perfect time to be building a stadium. The economic conditions are bad for getting loans, but great for the overall cost of building a stadium. During the economic downturn the price of everything has gone down. Thre price of steel and concrete is down, and bidding on every aspect of the job would be very competetive lowering costs. I work as an engineer in heavy construction building bridges and tunnels. Currently you have more contractors bidding on jobs lowering the cost by wide margings. A lot of contractors are bidding at cost just to keep employees and equipment working. On large jobs like this the costs of materials being low can save one a lot of money. By the time anything gets resolved on this, the economy will probably have improved only increasing the overall costs. I usually stroll the SF Embarcadero from BART to China Basin. (So do many thousands of other fans.) Very pleasant. The distance from 12th St. BART to JLS in Oakland is considerably shorter. Baseball crowds passing through those blocks 80+ times per season would be terrific for the city. The prevailing wind at JLS waterfront circa 7 pm is the usual W-NW afternoon fog push that hits China Basin every evening, but a bit lighter. You’ll always see sailboats in the channel, heeled over and zipping along. The temperature is a bit warmer than across the Bay, and the fog sometimes holds off until well after dark. Howard Terminal would be a great place for a ball park. Impossible dream, I suspect, but a good one. A guy who was deeply involved in the construction of the Giants ballpark told me a version of the wind-study anecdote mentioned already on this thread. An engineering prof. from UC Davis, said my acquaintance, convinced the Giants to drop their downtown-vista design, and to orient the stadium instead so its high walls block the W-NW afternoon winds. Not entirely sure, but I believe it includes the over-crossing(s), relocation costs, and area street improvements. The figure does sound a bit low, but apparently it is the same analysis that came up with the very high Victory Court number. @ hecanfoos Thanks for the catch, I most certainly did mean the southeast corner. The development/surface parking would be the western part of the site. slo, do you think (this may not be a fair question) that Oakland is think of Howard Terminal as mostly a copy of AT&T Park? The park orientation makes me think that is the goal… I’d rather see a bit more imagination. @ML – nice write-up. Great photos. I was thinking last night about relocating or building another BART station near 5th and MLK, near where the tracks descend underground. Since the tracks are elevated between there and West O, I would think it would be less of a challenge to build a new station than if the tracks and station were below ground. I’m not a General Contractor, I’m a mortgage banker so don’t crucify me. I also took another look at that Victory Court site just for kicks. That would be REALLy cool if/when they Oak-to-9th project gets going. Combined with the re-design on the Lake Merrit channel, that would be fantastic. Imagine if BOTH sites were developed, that area of Oakland between 9th and the Howard Terminal, all the way over to the Lake, aroun the Lake, Jack London Square and much of downtown would be awesome. Don’t hate – investigate. @hecanfoos – weather at HT is very pleasant. Not much wind, practically never any fog (I can’t think of the last time I experienced fog there but it certainly isn’t frequent). The weather there is nothing like at AT&T. On a day when it’s 85 in San Jose, HT will be a lovely 75 with a gentle bay breeze. The channel there is fairly active so if boat-watching is your thing, JLS is the place to be. @Jeffrey – well then by your definition I guess the San Jose plan lacks the ability to be implemented, too, eh? San Jose should just give up on that idea since it doesn’t work right now. If there were a clear answer to this stadium question it would be being built right at this moment. But since no clear answer is available, certainly not with San Jose, Oakland does, can and should be offering viable alternatives…even if they aren’t as “perfect” as we all would want. The Oakland sites are actually pretty good. Ultimately what this latest offering from Oakland does is take the oomph out of Lew’s argument about location. Oakland has the site, Lew just doesn’t want it. That will make it hard for the rest of the owners to vote to allow the move to SJ, where there is a very complicated territorial rights issue with the Giants (which could take years to iron out) and San Jose may have some wrangling to do with the Redevelopment Funds (which could also take years to iron out). A new SJ stadium sure ain’t written in stone by any stretch. @LakeshoreOAK – Don’t get too excited yet. There’s a ton of discovery left and no deals of any kind have been made to get the ball rolling. If we’re going to compare Howard Terminal and Diridon, Diridon is no worse than 9-12 months away from construction if a decision were to be made today. Howard Terminal is at least 24-36 months away due to the complexity. @LakeshoreOAK: Which part of the SJ plan makes it lack the ability to be implemented? The part where an artificial construct by the league is blocking but could be reversed at any time? Or the ability to finance it? I see the second problem as way bigger than the other, and it’s not a problem San Jose has. I don’t have any problem with this possible park emulating one of the most beautiful parks in baseball. Just add Oakland aesthetics to it, like a blue collar/port vibe, some Victorian touches, etc. Doesn’t this spot offer more flexibility for space than SF had? That would give a lot of leeway during the designing period for making the park unique. @Lonestranger – The fact that a new stadium isn’t currently being built in SJ would indicate it’s apparent lack of ability to get implemented. Besides, I was just playing Devil’s Advocate with Jeffrey. Finance is almost never a problem when talking about well-heeled individuals spending their own money. In short: where there’s a will, there’s a way. Oh, and by the way, others have stepped up and offered to not ony buy the A’s but build a new stadium in Oakland to keep them in town. @ML – You of all people should know that there is ZERO basis for timeframe speculation in this process. This has taken FAR longer than anybody expected to. According to John Chiang, SJ needs to rescind the Option offer to Lew and return the money. If I could guess, SJ is going to fight that. And if I could make another guess, it could wind up in a very lengthy and expensive legal battle. Sure, past Oakland leaders have dragged their pathetic feet, but we all need to get over that and start playing ball with the current Oakland regime. They are spending the money and doing the legwork. Oh, and by the way, others have stepped up and offered to not ony buy the A’s but build a new stadium in Oakland to keep them in town. Please cite these people. If you;’re talking about DK, can you let us know how the meeting with LW went and how much he is supposedly offering to buy and building the stadium for on who’s dime? As Jeffrey noted, your passion and civic pride is unequivocally there, however everything you cite is opinion thereafter or speculation (and bordering on fantasy). As I asked Anonasfan (and to which he still hasn’t responded), if you are absolutely certain the viability of the A’s in Oakland, would you be amenable to guarantee attendance/revenue a la the Raiders deal then with the taxpayers on the hook? If the rest of Oakland thought this way, this would be a slam dunk and I would whole heartedly condone it as well! Just curious…. @LakeshoreOAK – Zero basis? Let’s see. An EIR will take 18-24 months. If SSA were to move out of Howard Terminal, it would take at least a year, probably two to transition (which could be concurrent). Meanwhile for Santa Clara, their lawsuit should take no more than a few weeks because of budget impacts. Same would apply in San Jose. Look, I don’t expect Cliff Pennington to come off the DL and start tearing it up because he played a couple nice games at SAC. I’ll be skeptical of him and the City of Oakland until they prove they can handle the task. BTW – I’m reading about SSA’s lawsuit against the Port. $ Millions at stake and has nothing directly to do with Howard Terminal. San Jose is shovel ready as Lew Wolff has stated publicly. He has naming rights sold, 75 corporations whose CEOs have signed a document stating they will buy tickets, spend on sponsorships, and suites sales. Oakland has uhhh……Jean Quan changing her mind about which site is the one they propose? Oakland is all smoke and fumes, it has been that way for years. Even if Oakland ponies up 100M for re-doing Howard Terminal the City only estimates $5 dollars of spending outside of ticket sales per fan while San Jose estimates $40 each fan. The A’s in a Howard Terminal ballpark will be the Pirates West. They will still be on the dole getting revenue sharing checks from the league because the debt service on the park will be so high with so little revenue in comparison it will require more $$ from MLB to survive. The A’s are better of rotting in the Coliseum where they have a nice lease, no debt service, and make $$ because of it. In the end, Oakland does not make sense economically speaking even with a new ballpark….Unless Oakland pays for 50% of it and does the land I just do not see how it is a good deal for the A’s. Lakeshore, I admire your passion. Actually, no. I have never advocated that Oakland or San Jose should give up until there is a shovel in the ground somewhere. There is a process to development, it costs a lot of money to build things. You might think that $250M just to prepare the site at Victory Court was a minor hurdle, but it really wasn’t and it ended up sinking the project from ever happening. Howard Terminal has significant hurdles… You might want to poo poo them as just some San Jose Booster being negative, but that’s not reality. You can read the old HOK study to see what would need to be done to develop a baseball stadium on Howard Terminal, and why it would be more expensive and you can read a lot of things about how a privately financed stadium is built all over the web. The bottom line is that privately financing construction of $600M stadium on Howard Terminal is a pretty big barrier to implementation. Nice view or not. eb, I mind. It would be a strategic blunder to have something that could be called a duplicate of AT&T Park within shouting distance of AT&T Park. Ultimately, the A’s need to compete with AT&T Park for premium ticket buyers… If you are offered the choice of going to the original, or a facsimile… Which do you think most folks will pick? Remember, you and I are not the target for this stadium, we will be there regardless. Lakeshore, one thing that really bothers me about the Oakland Only crowd, of which you appear to a member, is statements like “Oakland has a site, Lew just doesn’t want it.” While that might look cool on a bumper sticker, it is not true. Oakland has a long way to go before they have a site. Pointing at a map and saying “That would be cool” doesn’t mean there is an available site. jeffrey, I don’t think Oakland is viable, but don’t agree with the original/facsimile argument. The A’s would build a park where the fans are much closer to the field than at AT&T (this is true for Cisco Field as well). AT&T is better for location and view than it is for actually seeing a ballgame, especially from the upper deck, and the concourses/fan circulation isn’t good. Any Pics of the view of San Fransico from Howard Terminal ? baycommuter, you are entitled to your opinion. I am not even saying Oakland is not viable… I agree with your assessment of continuation, etc. Differentiation will be key to any park being successful with casual fans. This is Marketing 101. I can’t see anywhere this might have been answered so I’ll just shoot. Clearly, with BART 3/4 of a mile away, parking on-site would be ideal, and with the whole lot at their disposal they could do it. I just don’t see though, how that kind of traffic would not impede the trains. You talked about the need for pedestrian foot bridges, but with on-site parking, that doesn’t solve the problem of cars. I don’t know how feasible this would be, but it seems like the only way to do it would be to either elevate the train or tunnel. I know you’ve talked about pipes in the area, so tunneling doesn’t seem like an option. That leaves elevating the trains for about a half mile or so (not to mention that raise would have to start after Adeline and peak by Market). It would certainly alleviate safety and traffic concerns, but is it fiscally and practically possible? Other than that, it is an aesthetically pleasing location (as aesthetically pleasing as Oakland gets). I think you have to orient it with RF hugging the water and left field line heading out east. Gives you the water element and the possibility of skylines depending on how you deal with the grandstands along the left field line and exactly how you orient it. Right field line at about 160 degrees south looks pretty good. @Sid, despite what Wolff says, how could/can SJ be “shovel ready” when the Giants threat to fight tooth and nail? Granted, the upcoming August meeting may–albeit unlikely–find the BRC giving a recommendation, yet I doubt it. @ Jeffrey. I certainly don’t think it is unfair to bring up AT&T Park. Unfortunately for Oakland, there really are no other workable sites besides Howard Terminal and the Coliseum. If MLB and the business interests want to go with downtown, Howard Terminal is the only option at this point. Valdez Triangle doesn’t seem to be an option and 980 is not being considered. So, Howard Terminal is the make-or-break site that the city has to go for. The Coliseum site would work, but really only the city (read: Quan) are interested in going that route for baseball. For what is being looked at, the only way for car traffic to get to the ballpark would be an over-crossing (vehicles and pedestrians) like I mentioned in my earlier post. Surely, Jack London Square area would require some pedestrian safety improvements (something that should be done with or without the ballpark). Based on how the ballpark could be designed, post-game pedestrian traffic could flow via an over-crossing at MLK or Jefferson Street so at least the fans are on the other side of the tracks. As for the SSA Terminals lawsuit, Marine Layer is correct in that the dispute it not specifically about Howard Terminal. SSA Terminals holds the lease to both Oakland International Container Terminal (Berths 57-59) and Howard Terminal (Berths 67-68). 57-59 is where the dispute is. Potentially, some sort of consolidation deal could be worked out that also involves Berths 33-34, the former Matson terminal. If anything, I think rearranging the Port operations will be the most difficult part of the plan. The main ship that calls Howard Terminal is the Matson Lurline, which at 826 feet would have difficulty fitting at Berths 33-34. I don’t recall how Matson operated out there in the past, but I imagine they somehow operated their roll-on/roll-off (ro-ro) operation off the stern of the Lurline for the Hawaii service. While I still think it will be a serious challenge to relocate Matson, I thought that the press conference/release by Don Knauss, & Co. had an interesting part: Knauss, & Co. discussed Howard Terminal as the preferred site and one of the supporters was Matson Navigation Company (Oakland-based). Sure, maybe they just signed-on because they are a local company, but I have also heard that they may be willing to relocate. Finally, the plan presented/being studied is slightly different than the HOK version. This version does not appear to include a large on-site garage nor does it have the reworking of the shoreline, etc. in phase I. I believe only the area where the cranes are is an actual pier that (as mentioned before) will require work. If only a ballpark, over-crossing(s), and a surface parking lot are built in phase I, then in theory there would be much less site preparation than the HOK plan. Personally, I think the western part of the terminal should remain as part of the Port, but that’s just me. @slo_town- appreciate your informative post- a couple questions- is the cost to re-enforce the peers included in the $49M estimate? How about the cost of relocation and any opportunity cost associated with consolidation of operations? I have always felt that the gints objective was to force the A’s out of the bay area and keeping them out of SJ would do just that. I wonder if HT is truly considered a viable site if they quickly drop change their plan on SJ- why not get some cash and have a ballpark 45 miles away v. having AT&T 2 12 miles away? Truthdropper, your insider sources telling you Oak 2 9th is gonna be recycled? @Jeffery I see what you’re saying, but what possible backdrop would be more appealing than bay views? Hills or skylines pale in comparison, IMO. I mean Oakland is a port town and the stadium would match the vibe of the city. I agree that efforts should be made to the structure itself that sets it apart. Closer seating, fountains, unique building materials, whatever can make the difference. The bay view is something that will set the park as different from most of the other stadiums in the league and will make it a destination point, especially if the A’s keep building upon this on the field success. I would wager that a non bay view would immediately be looked at as being inferior to SF by casuals in the bay, HT gives you a somewhat level playing field and construction could put this stadium over the top. “They rightly claim San Jose is in their back yard, that a significant portion of their attendance and revenues comes directly from San Jose and the well-heeled towns nearby.” Time and time again, the Gnats has not shown any proof that the majority of their fanbase is from the San Jose region proper. Instead, Larry Baer will instead try to lump the Peninsula (San Mateo County) with the South Bay (Santa Clara County) to further his cause. Their has not one specific citation that they even have a majority of their fanbase here. “And furthermore, the current Giants’ ownership focused on creating a fan base in the San Jose area when the team was purchased in the early 1990s and considered moving south from old Candlestick Park” Revisiting past history, you will note that in 1992, Lurie didn’t try to establish a fan base in SJ. Actually, he was mercifully begging a city (Santa Clara) to help subsidize a new stadium for him and that was shot down by the voters themselves. He then wanted to move out of the Bay Area entirely to St. Petersburg before being forced to sell to the McGowan ownership group. So you actually have it backwards, with the citizens of the South Bay actually rejecting the Giants themselves well before ownership changed. “Some people believe the Giants would sue, other don’t think so,” the MLB executive said.” This would be interesting because if the Giants did sue a decision by MLB to grant the TR to the A’s, it would therefore nullify the anti-trust exemption that holds the territorial rights in place in the first place, ironically allowing the A’s to move anyways! “Oddly, the A’s outstanding season might work against owner Lew Wolff’s negotiating leverage for the new stadium. When it comes to bringing this to a vote of owners, he wants to cry poor. A pennant race that triggers increased attendance and potential playoff revenues would weaken his case.” Actually, if you look at this year’s attendance, it is actually flat compared to the last 2 years (only delta of +600 from 2011), so even a playoff/pennant race is not helping the A’s cause. Even if you look historically, it is par for the course with the A’s in Oakland as illustrated by their lackluster attendance: 8x in top half in attendance in 44 years, despite 4 World Series, 6 AL pennants and 15 playoff appearance (http://www.baseball-almanac.com/teams/athlatte.shtml). “So Wolff dreams of the A’s becoming the darlings of Silicon Valley, the team of Google and Facebook and Yahoo! and whoever makes the next big idea a lucrative reality. Securing venture capital for a start-up to sell popsicles online to Eskimos would be easier to accomplish.” Actually, A’s ownership doesn’t have to dream much as he has already secured a $120 million naming rights / sponsorship deal with Cisco (http://www.bizjournals.com/sanjose/stories/2006/11/13/daily30.html) and the Silicon Valley Leadership Group (a collaboration executives and representatives of the top Silicon Valley Tech Companies) have already written directly to Bud Selig and MLB wholly endorsing the A’s move to San Jose, while mind you, still supporting the Giants (http://svlg.org/75-leading-sv-ceo%E2%80%99s-sign-letter-to-mlb%E2%80%99s-selig-urging-him-to-approve-moving-the-a%E2%80%99s-to-san-jose). While I don’t think you are intentionally writing biasing the Gnats, I hope that you are further educated on this subject matter as some of us have followed this for the better part of a decade. I invite you to go to http://www.newballpark.org to get further information on the matters in an objective perspective of the whole ordeal. Does anyone have any thoughts on the viability of the potential Giants lawsuit referred to in the Henson piece? I guess it all depends on what is actually recorded in the MLB minutes re: the term of the TRs. I LOVE Weeks’ quote at the end about playing for the fans without cash… he’s having a tough season but he seems like a great dude. The article is so biased on the Gnats, it’s not funny. Futhermore, it will be ironic if the Gnats sue MLB and therefore break the ATE themselves lol…. Owners have to surrender their presumed right to sue MLB to purchase a team, but that doesn’t prevent them from filing papers and causing a big stink that could ultimately cause the courts to revoke the anti-trust exemption. It would ultimately be good for MLB to lose the exemption, but bad for Selig personally. Selig’s cowardice probably comes from the fear that all of this might come to pass. Jeffro you always find some way to be negative against Oakland. “The Giants have attorneys close to their ownership group who made millions trying eminent domain cases. Owners agree not to sue MLB under any circumstances, but in that regard this could be ground-breaking if the A’s are allowed to break ground in San Jose. That confused and indeterminate discussion of the legal issues and potential claims means nothing. It’s tripe. Eminent domain law concerns governmental confiscation of land, not private disputes. How do these mlb quarrels implicate eminent domain? The arbitration agreement in the mlb constitution is clear. What are the chances that any owner could have it deemed invalid? (A legitimate question, but not one you answer by merely calling such a potential challenge “groundbreaking.”) And, capping it off, the anonymous mlb executive talks about a Giants lawsuit but doesn’t even confirm that the Giants have articulated such a threat. Ridiculous article. I would think if the Giants sue MLB, MLB can instantly revoke the franchise from the current owners. But then again we’re talking about Captain Courageous (Selig) here, who’s been hiding under the table in fear of the Giants for years. Djr, the City of Oakland makes it easy. They have a fractured approach and a stunning lack of vision. They have screwed this up at every turn and folks like you and the other Oakland Only fans don’t acknowledge that reality. If calling that out makes me “negative towards Oakland” so be it. Go back and read the site review I wrote for JLS West, it’s called “The New Guy in the Scrum, JLS West.” that is exactly what I am talking about as far as differentiating a stadium in Oakland from the one that already exists in SF. Howard Terminal presents the opportunity for a skyline view, rather than a view of the inner harbor. 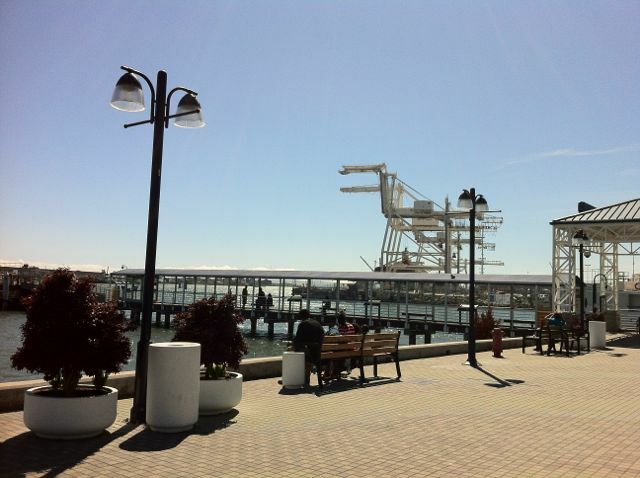 In fact, Howard Terminal’s “bay view” is nothing of the sort, it’s a view of the estuary and Alameda beyond. From the start LGO’s website has touted copying AT&T Park. It’s a bad idea. I believe it’s at the behest of Signature Properties because they own so much land in the area that they can’t develop due to weaker than expected demand. They see AT&T Park and say “we can juy copy that and we can build our mixed use stuff because everything that happened in China Basin is what will happen right here.” I don’t know that this is the case, mind you. I agree 100% that any stadium should represent the City it is built in. I think a stadium with a view of Downtown Oakland from the seats would give people the idea that there is a “there, there.” it would also offer a true alternative to AT&T Park. @Jeffrey – we don’t need to prove that “there is a there, there”. That’s a misrepresentation of that quote anyway. 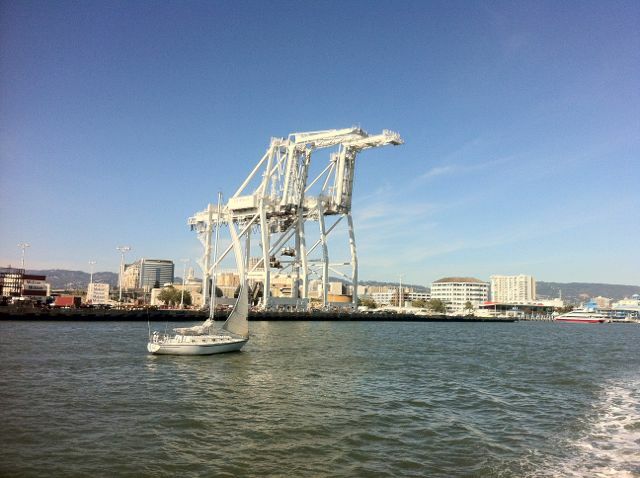 …All this talk of a waterfront ballpark in Oakland is meaningless if nobody is willing to pay for it. The city won’t pay for it. Wolff won’t pay for it. No new prospective owners have come forward who are willing to pay for it. Let’s have names and see some checkbooks, not “prospective owners who wish to remain nameless.” That’s a waste of everybody’s time. The Bart station would actually be closer to Howard Terminal than Embarcadero Bart station is to AT&T. 1.2 miles vs .75 miles. This should not be an issue. @pjk – Don Knauss runs a company with billions in yearly revenue. He’s the one who keeps mentioning prospective owners. I believe he may be a little more credible than the average fan (not in the loop). David: Show me where Knauss has said he’d pay for the ballpark. He’s mentioned PSLs as a mechanism, apparently unaware of what a failure this same plan was with the Raiders. Knauss has no experience getting a ballpark built when the public contribution to construction will be $0.00. Knauss showed up on the scene, what was it – two or three months ago? When is he going to tell us exactly who is ready to spend $1 billion+ to buy the A’s and build a new ballpark? Money talks…. @pjk – he never said he, or Clorox were interested in purchasing the franchise (which currently isn’t for sale). He said he knew a couple of groups who were interested in buying the team and building in Oakland. I can’t speculate on why his people want to stay anonymous (right now), but DK did speak to that point (you can search for links if you’d like). @GoA’s- I like your logic about the Giants negotiating if Howard Terminal was feasible. Fremont was far enough away where the Giants would not have to surrender San Jose but keep their premium seat buyers intact in their metro area. If Howard Terminal became reality the Giants would negotiate San Jose real fast as then they would have direct competition with a far newer ballpark 12 miles away. When the Giants and A’s were on even par with their ballparks the A’s outdrew them 17 out of 32 years because they had more successful teams on the field. Since Oakland is not feasible the Giants see no reason to help out the A’s with San Jose, may as well let them rot in the Coliseum. @DavidL- Shovel ready implies no objections from the Giants of course. If I was Wolff I would have sponsored a lawsuit against MLB a long time ago to make Selig move regardless if we were frat buddies from back in the day. This is business, not personal..
David, I love that you love your home town and will stick up for it even if the original meaning of Gertrude Stein’s quote isn’t the issue. A;s Man, personally, I’d prefer the BART station was a mile away just like Embarcadero. It might be the only exercise I get some weeks. @sid, goas– I don’t think so. The Giants have locked themselves into a position and they’re not going to discard it whether it makes any economic sense or not. @Jeffrey – nice image… we would need to bring back the roid-era so guys could land homers on 880!! If it was at Howard Terminal, it’d be back further so it would take some serious roids. For Pete’s sake, the Giants have no plausible grounds for a lawsuit. Revocation of T-rights would not be a breach of contract because the same document granting those rights (MLB Constitution) also expressly provides for their revocation. It’s not a breach of contract to take an action expressly provided for in the contract, and many contracts include provisions for termination of rights granted therein (or for the entire contract). And they don’t have any kind of antitrust action, as they are the ones benefiting from an anticompetitive restriction. re: Since Oakland is not feasible the Giants see no reason to help out the A’s with San Jose, may as well let them rot in the Coliseum. …That about says it. The Giants know the odds of the A’s getting a new ballpark in Oakland (not good) so they keep them penned in there, holding onto 6 Bay Area counties for themselves while consigning the A’s to two counties where no one has been able to make a ballpark happen. Selig remains too terrified of the Giants to do anything about it. I know of several investors willing to purchase the A’s (if ever for sale) and they are also willing to pay for the land and ballpark at any location in the Bay Area. See, I can say that too. Bartleby, I think the Henson article simply recycles a garbled version of one theory that has been around for years — that the Giants will sue if mlb revokes the TRs to SCCo. In fact, the Giants have taken steps toward such legal action (quietly acquiring majority ownership of the San Jose Giants and using that team to fund the writ proceeding against SJ on the option sale to the A’s, for example). But no one has revealed the extent of larger litigation threats the Giants may have presented to mlb. The “mlb executive” quoted in the Henson article didn’t offer any insight. Meanwhile, the Giants don’t really need to do much more, so long as the territorial divsion of competition favors them. …If the Giants decided to sue MLB over the loss of the SJ “territory,” MLB could immediately revoke the Giants’ franchise and sell it to new owners, I would think. Suing would be a violation of their franchise agreement. But then again, Selig has been hiding under the table for years in fear of the Giants. Difference vs. 2011: -594 per game. 1st Place team this year, 3rd last. I don’t know much about the White Sox other than some and only dug up some explanations from their poor showing (Guillen withdrawal?! ), but 1) I’d love for the A’s to average 24k a year and 2) that’s not bad considering they have the Cubs in the same city, with both of them combined averaging 5 million per a year! This is astonishing for a city that has a population of ~2.7million, while East Bayers claim 3 million in their Oakland locale. pjk, an unnamed baseball executive mentioned that “some people think the Giants would sue” why would he say that if the Giants had no right to sue? I have heard that the owners agree to not sue MLB but is it something official? Jeffrey, that is about the best they could do for a view in San Jose and it is pretty nice. Oh, it’s okay of another place has crappy attendance. I get it. @ Anon – FYI, Chicago metro has a population of nearly 9.8 million. During the moneyball years the A’s averaged 26k vs 23k for the Sox during the same time period, which includes their WS win. It wasn’t until the year after they won the WS that attendance jumped to 36k and then it went down every year after that. I have argued in the past that 26k was “not bad” for those years considering the G’s (in the same area) had their shiny new park, went to the WS, and had Mr. Bonds as a huge attraction. Still pro-SJ folks say that this was terrible attendance for those ALDS years. Also, the defined east bay has approximately 2.6 million residents. It’s a matter of semantics but, if you include cities outside of Ala Co./CC Co., such as Tracy, Vallejo, Benicia, and even Stockton, you would surpass 3 million residents. I say this because these are kind of extensions of the east bay even though they’re not in the same counties. So you want to include multiple counties when it comes to the A’s, but only the city itself when it comes to the White Sox. Cook county itself has over 5mil and the greater Chicago metro over 9mil. Sure they are drawing 3k a game more, but they have a larger population to draw from, a more modern baseball only stadium and a much longer history within their host city. I didb’t intentionally include multiple counties, but rather say what most pro Oaklanders cite in terms of the 3M population draw for the EB. I don’t know enough about the WS or Chicago to make an informed opinion, rather stating that in a playoff contending year, Oakland’s attendance is paralleling 2006 all over again. @ Jeffrey – I can’t speak for Jay but I’m not sure that’s what he’s saying. The number one argument against Oakland has always been “poor” attendance. The Sox are in a much bigger metro area with a pretty nice park (renovations of $118 million in the last decade) and they’re in 1st place. If I had to guess I think he’s just pointing out that it doesn’t just happen in Oakland. @ Columbo – computer fixed I hope? @ Anon – Chicago metro has nearly 9.8 million people. The A’s averaged 26k during the moneyball years vs 23k for the Sox during the same years, which includes their WS win. I have argued in the past that the A’s attendance was pretty good during those years considering the G’s had their shiny new park, went to the WS, and had Mr. Bonds as an attraction. Many on here believe that it was terrible attendance. The east bay has 2.6 million but if you were to include some outlier cities like Vallejo, Benicia, Tracy, and even Stockton, it would be over 3 million. the argument against Oakland is it cant provide for a privately financed ballpark and attendance trends is one component of generating revenue to payoff the “mortgage”. In contrast, the White Sox ballpark was completely publically funded–if Oakland pay for the ballpark like they did for the Raiders than it would already be under construction…assuming they could ever agree upon a site. re: He said he knew a couple of groups who were interested in buying the team and building in Oakland. …tick tock tick tock…Have these people come forward, please, at long last, with their checkbooks in hand. Theoretical, anonymous groups are just a waste of time. Columbo, nice to see you here. Hope things are getting better. pjk, an “I don’t know” would have sufficed. @ Anon / Jeffrey – Thanks for the nice words. I’m at my son’s jiu jitsu class and this is the first time I have posted from my phone. I notice I have 2 of the same messages posted. WTF, I hate typing on this phone. I’m doing much better. Divorce should be done in a couple of months. Laptop is still infected. I’ll send you an email. I hope it didn’t sound like I was starting an argument. As I’ve always maintained, while I do prefer an Oakland site, I am in favor of whatever is best for the A’s first. This means I will root for Oakland to succeed but I’m not going to stop being a fan if they end up in SJ. Hope you guys are doing well. I can’t type anymore on this thing.